Final Fantasy XIV has almost a ten year history. The original run at it launched in 2010. After a negative reception, it was shut down and relaunched in 2013. This was update 2.0 A Realm Reborn. In the following two years, the MMO saw five more 2.X updates until 3.0 in 2015. Since then, the game has seen a major content update every two years or so. This Summer, we are scheduled to get patch 5.0 of Final Fantasy XIV Shadowbringers. Yesterday, at Final Fantasy XIV’s Fan Fest in Japan, the game’s director and producer Naoki Yoshida unveiled some new details we can expect from the upcoming patch. First of all, a new trailer for the expansion is out. It’s not all unseen content, but now includes more of what to expect. Two new jobs and playable races will be available. 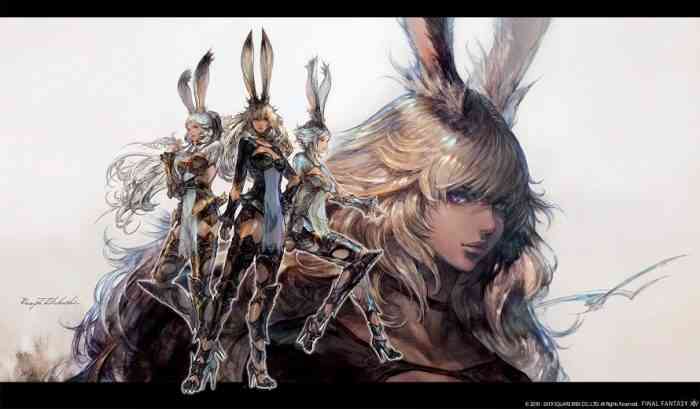 The two races are Viera and Hrothgar, both of which are exclusive to different genders. Only female characters can be Viera and only males can be Hrothgar. The first new job is a Dancer, who uses weapons like circular blades and performs dances in their skills. The second job is the Gunbreaker, which uses a gunblade. The hub world for the new content is a place called the Crystarium, a beautiful city built around an enormous crystal tower. There is another location called Eulmore, which is a place of hedonism and luxury, built on top of a less fortunate city. There is a lot more to unpack from his update. For more details, you can check out the Shadowbringers website. Will this content last players another two years until 6.0? Let us know in the comments below.